Jena and Elyse have been working out at Limitless SCF as a pair for over 4 months and have achieved so much in that time. Jena had a goal of losing 30lbs of weight in time for her wedding the following year. With well over 6 months still left to go, she has already lost 22lbs and 4in off her waist and is now aiming to lose an additional 10lbs on top of her previous goal. Her strength and cardiovascular fitness have both improved dramatically in the process and she has definitely reawakened her inner athlete. Elyse came in wanting to increase strength, especially in her core, to help her out with her duties as a nurse, always being bent over and moving patients. 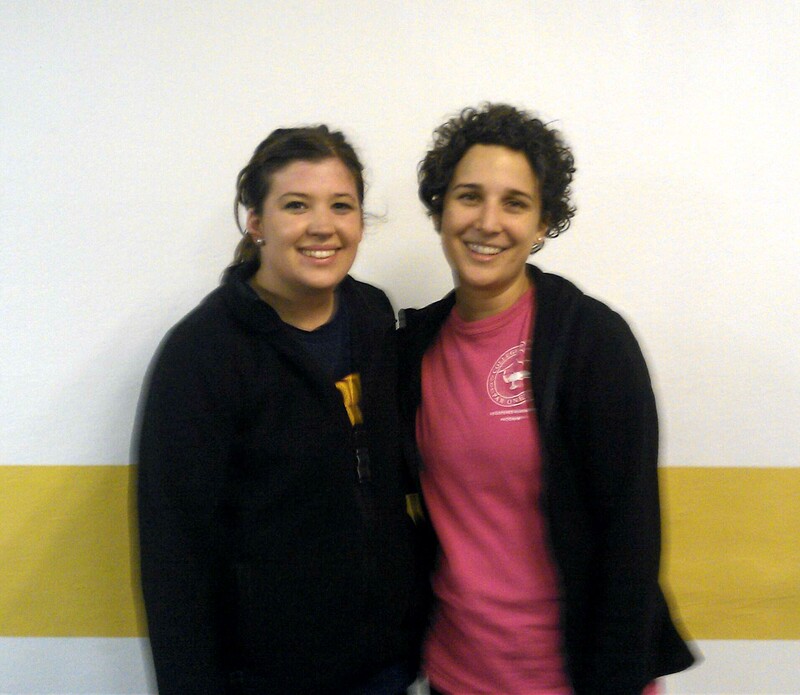 In the first 2 months, Elyse had doubled her maximum front plank time to well over 2 minutes! Elyse has since moved to SF for an awesome nursing job opportunity which working out at Limitless definitely gets significant credit for! For now we will have to settle for only seeing Elyse for special celebrity drop-ins from time to time. Jena is still going strong three times a week with her end-goal supplying her with plenty of motivation, now with her sister joining in. These two were my first duo sessions at Limitless SCF. I always look forward to creating and implementing their workouts. They have great, fun personalities and have both become perfect “walking marketing billboards” for women training at Limitless! “I have been going to Brett for months now after being recommended to him by my brother. He is professional and motivating which led me to great results! I look forward to going to my workouts because Brett really tailors the workouts to your personal fitness level and pushes you to be more physically fit. I would recommend Brett to ANYONE who is wanting to get into better shape, no matter what your current fitness level is….even if you are in the best shape, I guarantee Brett can make you sore! I even have a gym membership and I go to Brett 3x a week to get power work outs in because I am pressed for time and need to get the hardest work out done in 30 minutes.